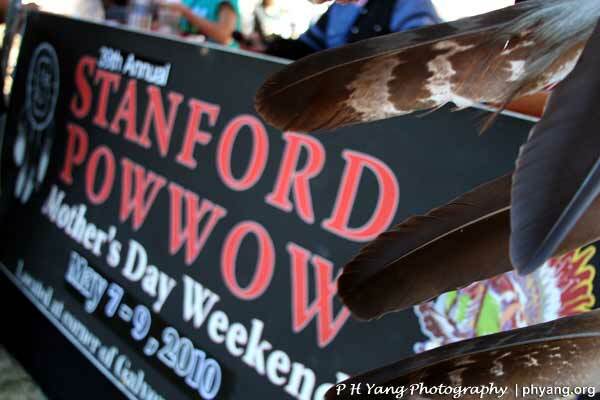 Over 30,000 people were drawn to the Stanford Powwow, in its 39th year, to see the magnificent dancers and drummers in their glorious native regalia, during the Mother's Day weekend. 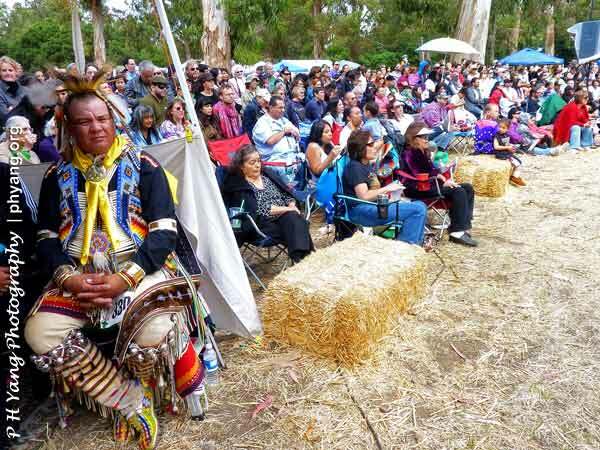 The Eucalyptus Grove was filled to capacity on the Stanford University campus. 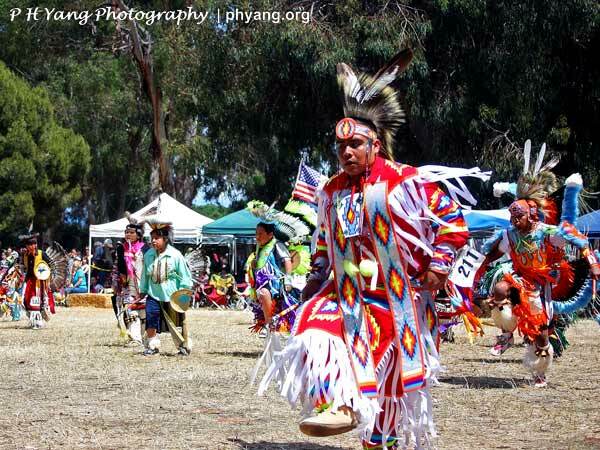 The largest student-run Powwow showcased "a culture that a lot of people think isn’t in existence anymore,” says Waddie Crazyhorse, Powwow Co-chair and a Stanford senior. 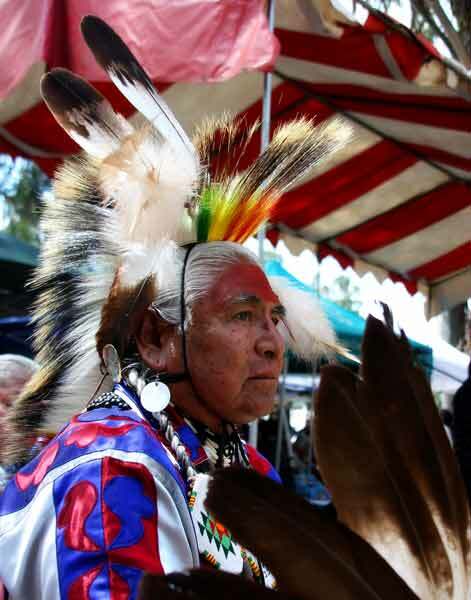 Many of the Native American participants arrived from as far as Montana, Oklahoma, South Dakota and New Mexico. 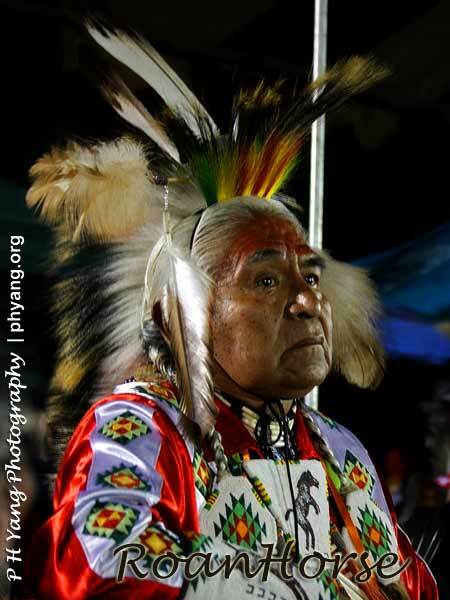 Amongst the Men's Golden Age competitors is 65-year-old Mark Roanhorse, of Diné (Navajo) tribe, from Phoenix, Arizona. 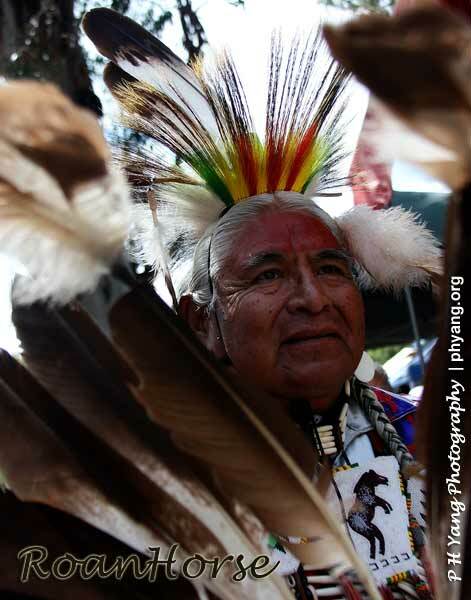 He is a proud veteran of two wars from the Korean Whitehorse Division and Vietnam Tigers Division. 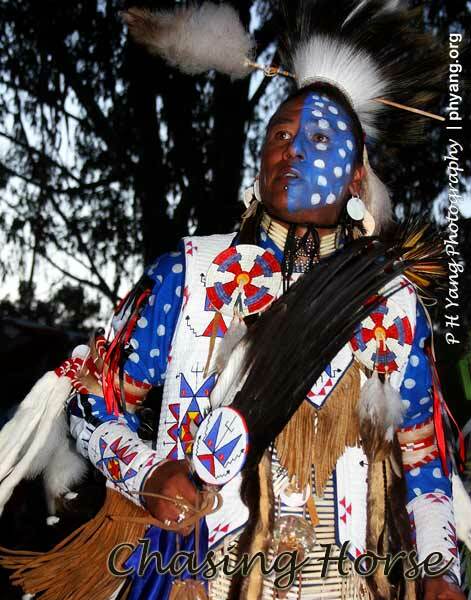 Nathan Chasing Horse (age 34), a Lakota Sioux from South Dakota, sports a spectacular blue and white face-paint that matches the color of his regalia. He attended with his four wives -- "a tradition," he says. 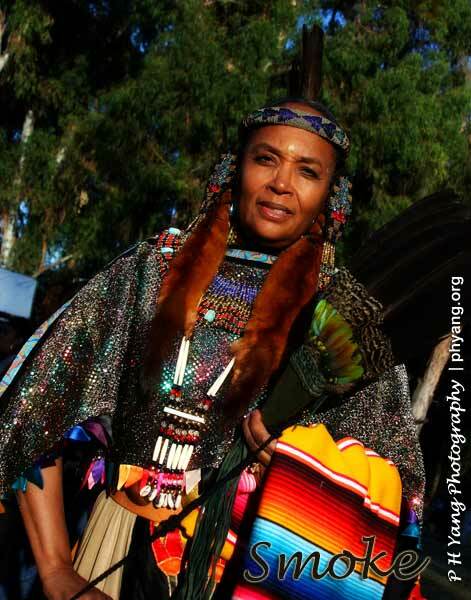 The graceful Smoke (aka Sharon Chestang-Robinson), a Cherokee/Choctaw, hails from Oakland, California. She is very friendly and nice to this reporter, clarifying some of the taboos and finer details of the traditions and ceremonies. 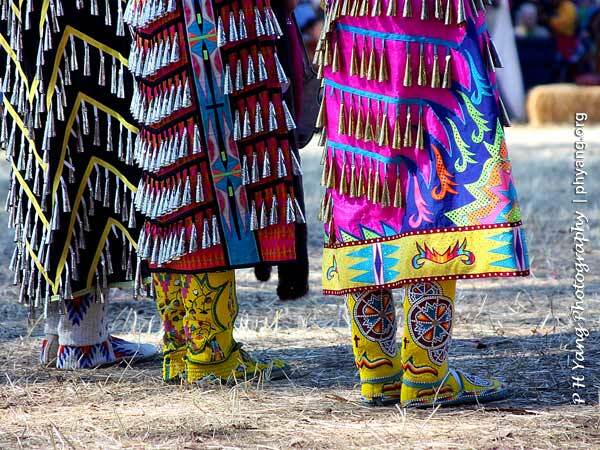 The Powwow is something that started out in the plains, with the native tribes, and it’s really a coming together — a celebration of native dance, music, cultures and art. 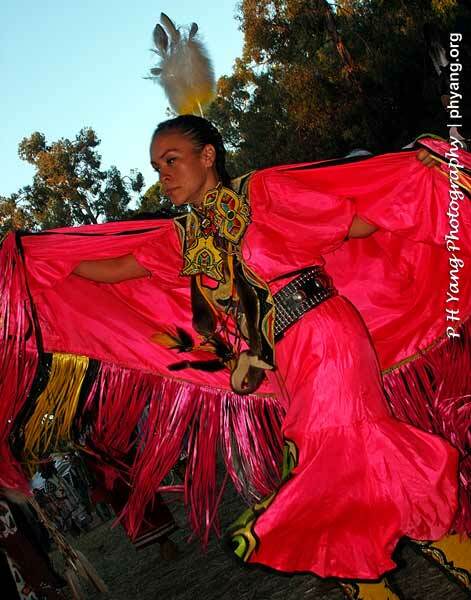 It is a spectacular celebration with over 300 dancers, singers and drummers, from tiny tots to seniors, over the course of the past three days. 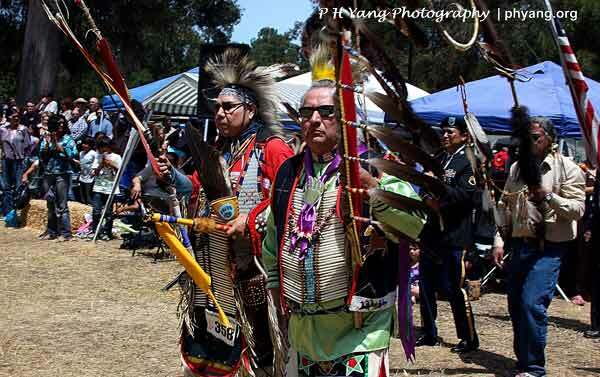 This is a rare glimpse into a culture and heritage that is rapidly fading and I treasure the opportunity to connect with the Native American friends I have met during and after the Powwow. 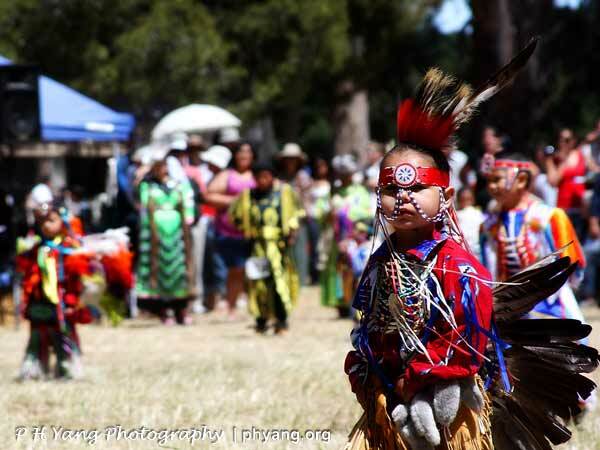 It is heartening to see many tiny tots still upholding their traditions. 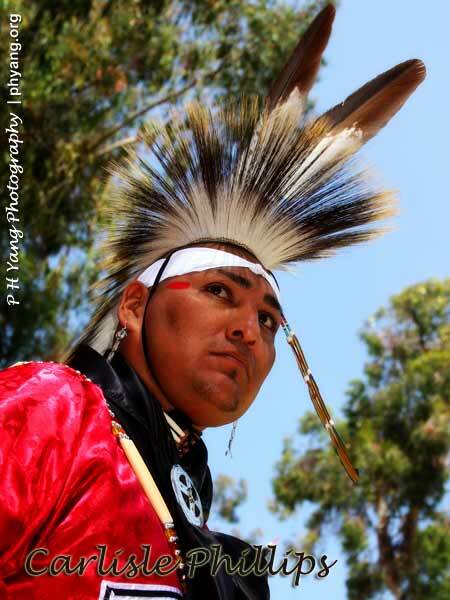 May their heritage lives on forever. (This photo essay is vetted by CNN and the No. 1 news story on . 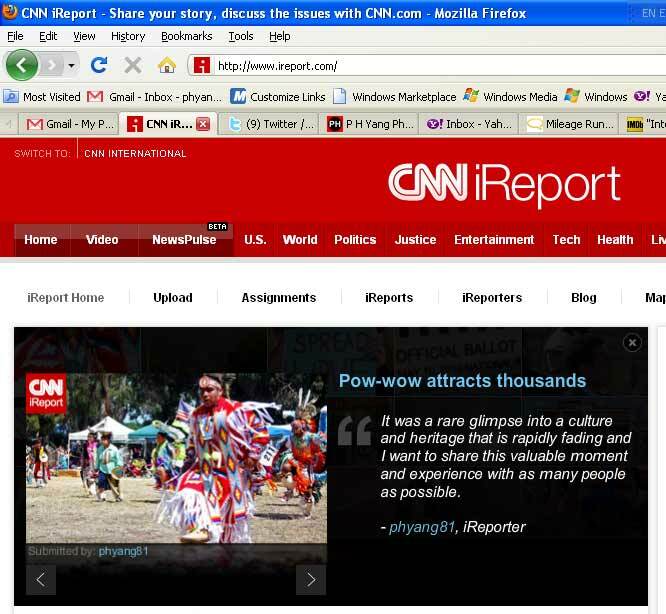 Homepage of CNN iReport on May 11-12, 2010 Click thru to view photo essay.